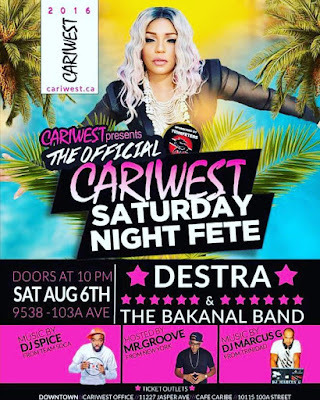 Destra Comes to Edmonton for Cariwest Aug 6th! 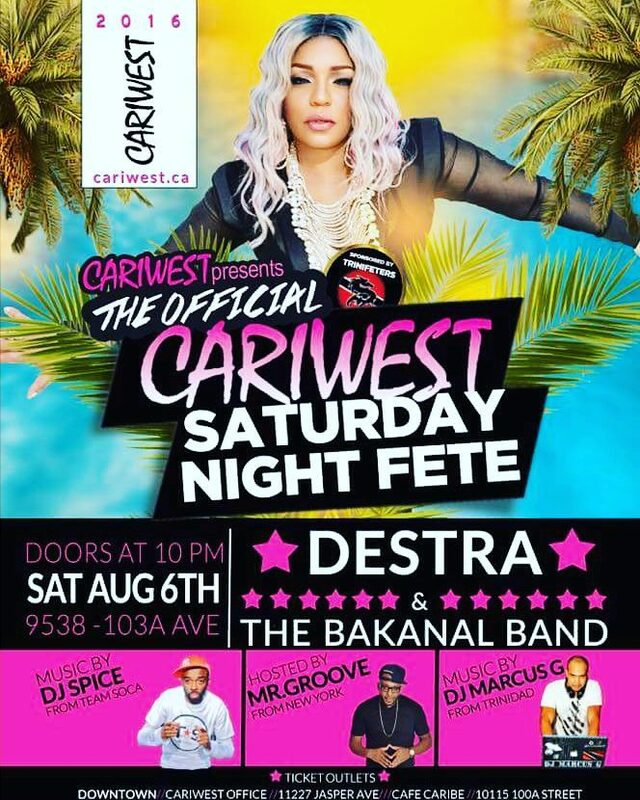 The Queen of Bacchanal, Destra Garcia is set to come to Edmonton for this year's Cariwest Festival! Trinifeters and Cariwest will feature Trinidad's celebrated Soca Diva on Saturday Aug. 6th 2016 alongside her entire Bakanal band. Music by TeamSoca general, DJ Spice; Trinidad's Marcus G and hosted by Mr Groove from New York.